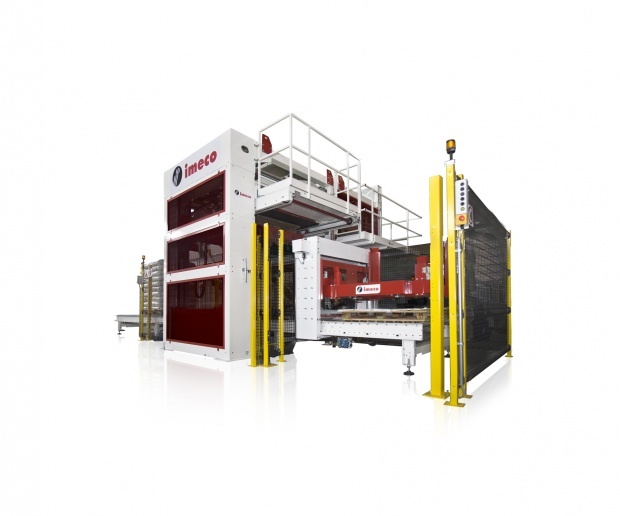 The EFFEPAL-A series conventional high in-feed Palletizers have been designed to accurately stack bags, bundles, boxes or cartons on a pallet. 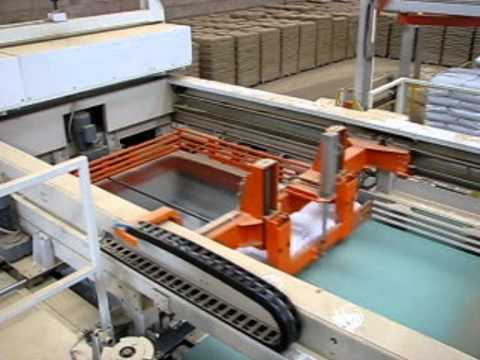 goods are conveying from the top, a double flaps rotation device orients each incoming bag in order to prepare a row, each row is pushed to the loading station and group-out creating one layer, finally each layer is deposed into the pallet by opening the double slide gate. The pallet is moved down one step for every deposed layer until the pallet is completed and evacuate and another empty pallet is taking into place. Their unique modular design allows an easy integration and the develop of various layout configurations able to suit your plant requirements. Thanks to their heavy duty design and reliability, operation and maintenance costs are low.